The most common written instrument is a bank check. Check forgery typically involves the endorsement or presentation of a forged check to a bank or check cashing business. The law also encompasses any alteration of any document with the intent to defraud, whether falsely signing another’s name to a credit card application, using a false name in order to obtain employment or changing any other material fact of a document. This crime is rigorously prosecuted in Arizona. The crime of forgery is a class 4 felony. Punishment for a conviction could result in a term of up to 3.75 years in prison, a fine of up to $150,000 and 4 years probation on the first offense. Restitution for any economic loss to the victim is required. A forgery conviction will have a major effect on a person’s future. A forgery conviction will jeopardize any employment, as most employers obtain a criminal background check of prospective new hires. Additionally, many landlords require a criminal background check prior to approving a rental. A landlord is not likely to rent to a person with a forgery conviction. If you stand accused of the crime of forgery, contact Robert A. Dodell, Attorney at Law, now. Your freedom, your rights and your future are at stake. It is very important that you speak to an experienced and aggressive forgery attorney who is familiar with such matters. Robert provides individual service when protecting your rights. 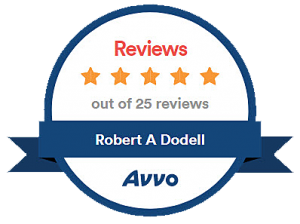 Contact Robert A. Dodell, Attorney at Law, directly by email or by calling 480-860-4321 now for a free initial consultation.